The common cold, also known simply as the cold, is a viral infectious disease of the upper respiratory tract that primarily affects the nose. It is also possible that the throat, sinuses, and voice box get also affected. It is the most frequent infectious disease in humans. 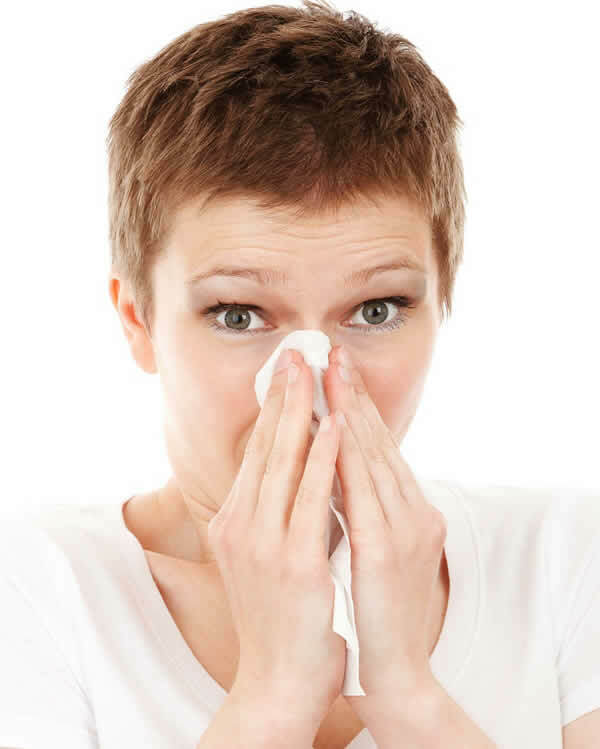 The average adult gets two to four colds a year, while the average child may get six to eight. They occur more commonly during the winter. These infections have been with humanity throughout history. Signs and symptoms may begin less than two days following exposure. They include coughing, sore throat, runny nose, sneezing, headache, and fever. People usually recover in seven to ten days. Some symptoms may last up to three weeks. In those with other health problems, pneumonia may occasionally develop. Well over 200 virus strains are implicated in the cause of the common cold; the rhinoviruses are the most common. They spread through the air during close contact with infected people and indirectly through contact with infected objects. Risk factors include going to daycare, not sleeping well, and psychological stress. Symptoms are mostly due to the body's immune response to the infection rather than to tissue destruction by the viruses themselves. In the early stages of infection, it can be difficult to distinguish between the common cold and influenza. The latter is commonly referred to as the flu and is usually a more severe disease than the cold. In fact, influenza is a mixture of symptoms of common cold and pneumonia. Influenza patients may suffer from fever, body aches, headache, diarrhea, sore throat, runny nose, vomiting, and fatigue. and staying away from other sick people. Some evidence supports the importance of using face masks. No cure for the common cold exists, but the symptoms can be treated. Nonsteroidal anti-inflammatory drugs (NSAIDs) such as ibuprofen may help with pain. Antibiotics should not be used. In addition, evidence from research does not support any benefit from cough medicines. The common cold is a disease of modern times. The symptoms do not last for a long time. The common cold is a more serious disease than the flu. The common cold is normally treated with antibiotics.